Community Corner - IGA X-press coming to Patterson Road. Patterson Road is now on Facebook. Become a fan now and we will keep you up to date on all the latest. 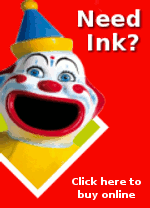 Patterson Road Tatts, News & Post was a finalist in the Victorian Newsagent of the Year 2009 awards. The awards were presented at the Newsagency Industry Gala Dinner, held at the Sofitel Melbourne On Collins on Saturday 27th February 2010. 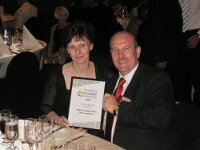 The awards and dinner were presented by VANA, the Victorian Newsagency Industry Association. It's not too late to join in our 2010 Footy Tipping Competition, those who join after the season has started get the average tipping score for the rounds missed. There's prizes awarded each week as well as end of season prizes. There's over $450 in prizes to be won throughout the competition, so join up now! It's free to join and to enter your weekly tips for all of the 2010 season. Find the perfect card for Mother's Day from our great range of John Sands Greeting Cards. Call in and browse through our range of Mother's Day cards to find the perfect card for mum on Mother's Day. There's a great range on display you're sure to find one that's just right. Get mum a gift card for one of her favourite brands and she'll be delighted to be able to select her own gift. Some of the brands available are shown below, there's an even wider range in store. Planning is underway for a new IGA X-press store to be located at 86-88 Patterson Road, right opposite our Newsagency. We'll keep you up to date with progress on this welcome addition to our community.